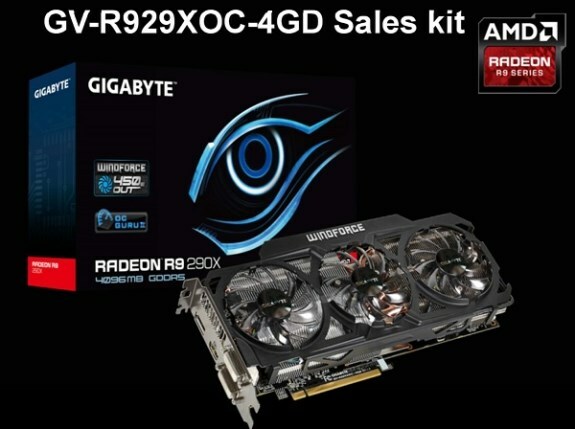 Hardware.fr published a photo of Gigabyte's forthcoming GV-R929XOC-4GD, a custom Radeon R9 290X model with WindForce cooling. The card is slightly overclocked to a base clockspeed of 1040MHz and is equipped with the dual-slot WindForce 3X 450W cooler. This cooling solution is reportedly up to 15.9dBA less noisy than AMD's stock cooler.